9781522697305 | Mp3 una edition (Audible Studios on Brilliance audio, July 26, 2016), cover price $9.99 | About this edition: After Cass Seltzers book becomes a surprise best seller, he's dubbed the atheist with a soul and becomes a celebrity. 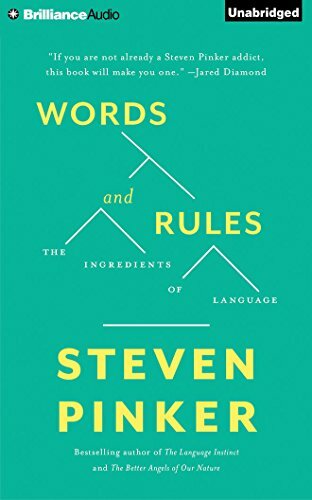 9780465072705 | Reprint edition (Basic Books, July 14, 2015), cover price $17.99 | About this edition: Here, Pinker explains the mysteries of language by examining a single phenomenon, regular and irregular verbs, from a dozen vantage points. 9780060958404 | Reprint edition (Perennial, November 1, 2000), cover price $15.00 | About this edition: An examination of the human ability to use language by an MIT professor traces the history and evolution of the English language, the theories of Noam Chomsky, the way children learn to use language, and much more. 9781501261053 | Mp3 una edition (Brilliance Audio, August 4, 2015), cover price $17.99 | About this edition: âDeliciously erudite. 9781501261046 | Com/cdr un edition (Brilliance Audio, August 4, 2015), cover price $24.99 | About this edition: âDeliciously erudite. 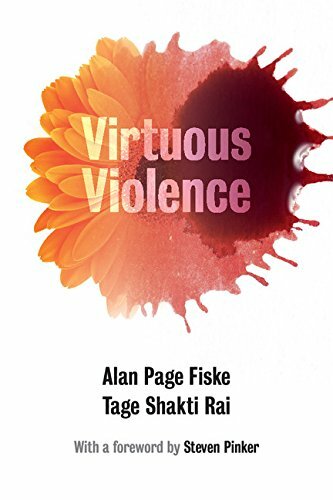 9781107458918 | Cambridge Univ Pr, December 15, 2014, cover price $24.99 | About this edition: What motivates violence? Product Description: Book is in very good condition with a few signs of wear. No writing, highlighting, or tears. 9781464173950 | 2 edition (Worth Pub, December 19, 2014), cover price $29.85 | About this edition: Book is in very good condition with a few signs of wear. 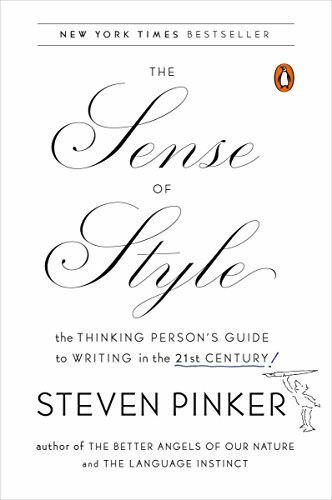 9780670025855, titled "The Sense of Style: The Thinking Person's Guide to Writing in the 21st Century!" 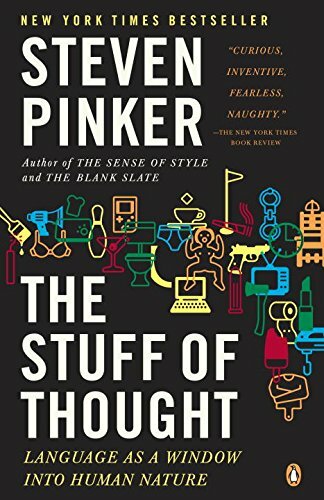 | Viking Pr, September 30, 2014, cover price $27.95 | About this edition: From the author of Enlightenment Now, a short and entertaining book on the modern art of writing well by New York Times bestselling author Steven Pinker. 9781846145506, titled "The Sense of Style: The Thinking Person's Guide to Writing in the 21st Century!" | Gardners Books, September 4, 2014, cover price $30.85 | About this edition: âCharming and erudite . 9780143127796 | Penguin USA, September 22, 2015, cover price $17.00 | About this edition: “Charming and erudite," from the author of Enlightenment Now, "The wit and insight and clarity he brings . 9780435290238, titled "Finding Out: Level 1" | Delta Systems Co Inc, October 1, 1991, cover price $7.13 | also contains Finding Out: Level 1 | About this edition: This is part of an American English beginner course for primary-school children, consisting of dialogues, songs, games and puzzle-solving activities. 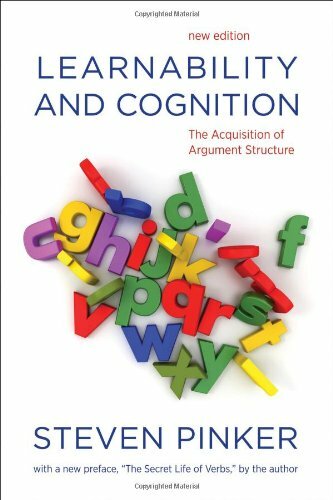 9780199328741 | Oxford Univ Pr, October 25, 2013, cover price $31.95 | About this edition: Language, Cognition, and Human Nature collects together for the first time much of Steven Pinker's most influential scholarly work on language and cognition. 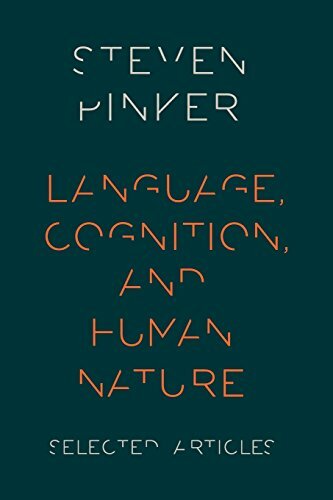 9780190259280 | Reprint edition (Oxford Univ Pr, October 1, 2015), cover price $19.95 | About this edition: Language, Cognition, and Human Nature collects together for the first time much of Steven Pinker's most influential scholarly work on language and cognition. 9780670031511 | Viking Pr, September 1, 2002, cover price $27.95 | About this edition: In a study of the nature versus nurture debate, one of the world's foremost experts on language and the mind explores the modern self-denial of our basic human natures. 9780142003343 | Reprint edition (Penguin USA, August 1, 2003), cover price $20.00 | About this edition: In a study of the nature versus nurture debate, one of the world's foremost experts on language and the mind explores the modern self-denial of our basic human natures. 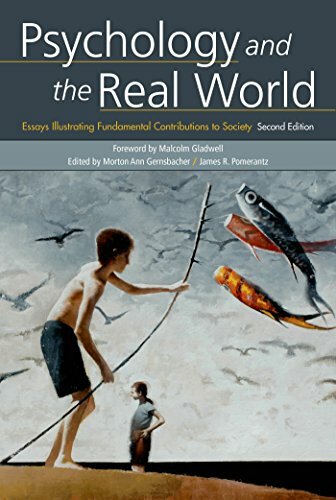 9781480563254 | Unabridged edition (Brilliance Audio, March 11, 2014), cover price $19.99 | About this edition: Our conceptions of human nature affect every aspect of our lives, from the way we raise our children to the political movements we embrace. 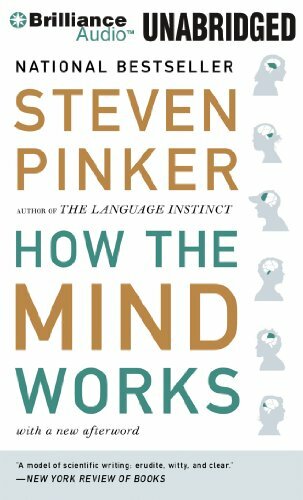 9780262161114 | Mit Pr, June 1, 1989, cover price $52.00 | About this edition: In tackling a learning paradox that has challenged scholars for more than a decade, Pinker synthesizes a vast literature in linguistics and psycholinguistics and outlines explicit theories of the mental representation, learning, and development of verb meaning and verb syntax. 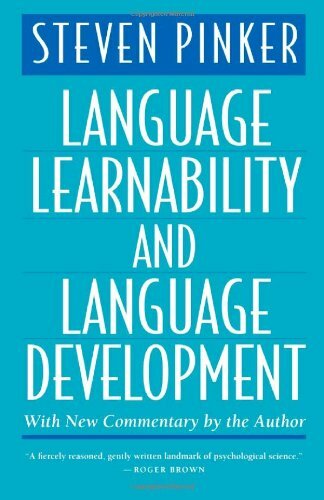 9780262518406 | New edition (Mit Pr, May 24, 2013), cover price $39.00 | About this edition: A classic book about language acquisition and conceptual structure, with a new preface by the author, "The Secret Life of Verbs. 9780262660730 | Reprint edition (Bradford Books, August 28, 1991), cover price $10.75 | About this edition: When children learn a language, they soon are able to make surprisingly subtle distinctions: "donate them a book" sounds odd, for example, even though "give them a book" is perfectly natural. 9780393345230 | Reprint edition (W W Norton & Co Inc, May 13, 2013), cover price $19.95 | About this edition: “An amusing (really) account of the murderous ways of despots, slave traders, blundering royals, gladiators and assorted hordes. 9780143122012 | Reprint edition (Penguin USA, September 25, 2012), cover price $20.00 | About this edition: “If I could give each of you a graduation present, it would be this—the most inspiring book I've ever read. 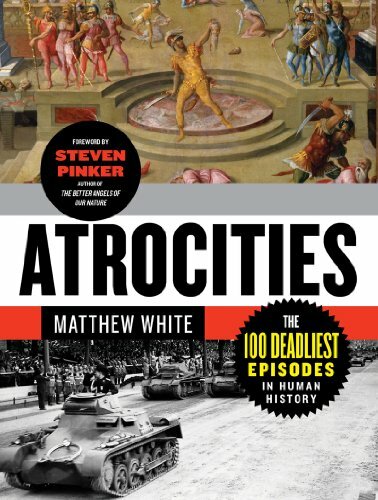 9781455839568 | Unabridged edition (Brilliance Audio, October 4, 2011), cover price $49.99 | About this edition: Weâve all asked, âWhat is the world coming to? 9781455839582 | Mp3 una edition (Brilliance Audio, October 4, 2011), cover price $34.99 | About this edition: Weâve all asked, âWhat is the world coming to? 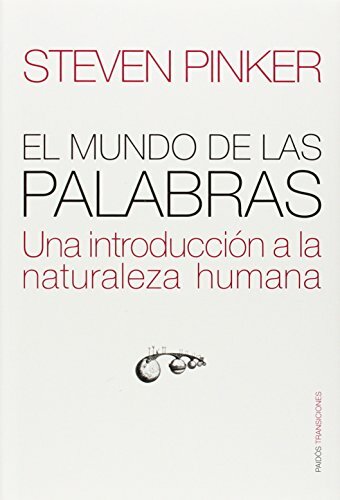 9788420671925 | Alianza Editorial Sa, April 30, 2012, cover price $44.95 | About this edition: "El instinto del lenguaje" se ha convertido en un clÃ¡sico donde Steven Pinker, el experto mundial en lenguaje y mente explica todo lo que a cualquiera de nosotros nos gustarÃ­a saber sobre el lenguaje: cÃ³mo funciona, cÃ³mo lo aprenden los niÃ±os, cÃ³mo cambia, cÃ³mo lo elabora el cerebro, y cÃ³mo evoluciona. 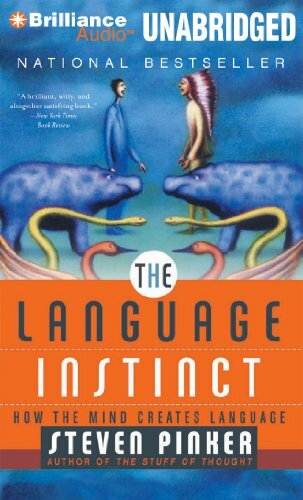 9781455839698, titled "The Language Instinct: How the Mind Creates Language, Library Edition" | Unabridged edition (Brilliance Audio Lib Edn, December 6, 2011), cover price $84.97 | About this edition: In this classic, the worldâs expert on language and mind lucidly explains everything you always wanted to know about language: how it works, how children learn it, how it changes, how the brain computes it, and how it evolved. 9781455839711, titled "The Language Instinct: How the Mind Creates Language: Library Edition" | Mp3 una edition (Brilliance Audio Lib Edn, December 6, 2011), cover price $39.97 | About this edition: In this classic, the worldâs expert on language and mind lucidly explains everything you always wanted to know about language: how it works, how children learn it, how it changes, how the brain computes it, and how it evolved. 9781455839643 | Unabridged edition (Brilliance Audio Lib Edn, November 8, 2011), cover price $84.97 | About this edition: In this delightful, acclaimed bestseller, one of the worldâs leading cognitive scientists tackles the workings of the human mind. 9781455839667 | Mp3 una edition (Brilliance Audio Lib Edn, November 8, 2011), cover price $39.97 | About this edition: In this delightful, acclaimed bestseller, one of the worldâs leading cognitive scientists tackles the workings of the human mind. 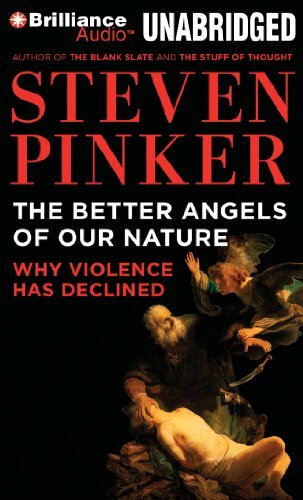 9781455839575, titled "The Better Angels of Our Nature: Why Violence Has Declined, Library Edition" | Unabridged edition (Brilliance Audio Lib Edn, October 4, 2011), cover price $99.97 | About this edition: Weâve all asked, âWhat is the world coming to? 9781455839599, titled "The Better Angels of Our Nature: Why Violence Has Declined, Library Edition" | Mp3 una edition (Brilliance Audio Lib Edn, October 4, 2011), cover price $49.97 | About this edition: Weâve all asked, âWhat is the world coming to? 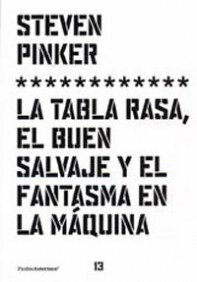 9788449320538 | Italian edition edition (Paidos Iberica Ediciones S A, October 15, 2007), cover price $15.95 | About this edition: En esta obra fascinante, Steven Pinker nos aporta una versión totalmente distinta de cómo funciona la mente: a través del lenguaje, y nos muestra cómo nuestras palabras pueden revelar el corazón mismo de la naturaleza humana. 9780670063277 | 1 edition (Viking Pr, September 11, 2007), cover price $29.95 | About this edition: Presents a study of the relationship between language and human nature, explaining how everything from swearing and innuendo to prepositions and baby names reveals facts about key human concepts, emotions, and relationships. 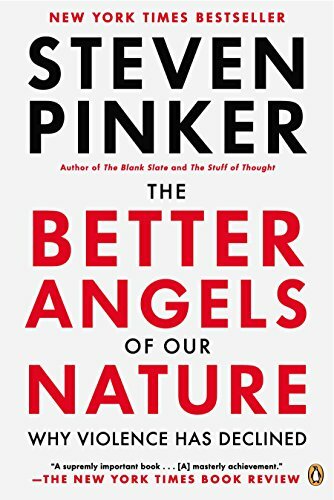 9780143114246 | Reprint edition (Penguin USA, August 26, 2008), cover price $18.00 | About this edition: This New York Times bestseller is an exciting and fearless investigation of language from the author of Better Angels of Our Nature and The Sense of Style and Enlightenment Now. 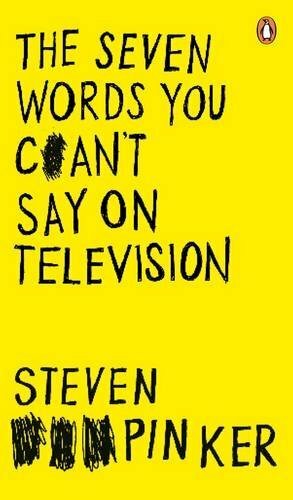 The Pulitzer Prize finalist author of The Blank Slate presents an accessible study of the relationship between language and human nature, explaining how everything from swearing and innuendo to prepositions and baby names reveal facts about key human concepts, emotions, and relationships. Simultaneous. 9780143142584 | Abridged edition (Penguin/Highbridge, September 11, 2007), cover price $39.95 | About this edition: Presents a study of the relationship between language and human nature, explaining how everything from swearing and innuendo to prepositions and baby names reveals facts about key human concepts, emotions, and relationships. 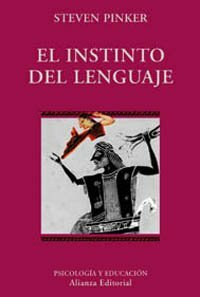 9788420667324 | Italian edition edition (Alianza Editorial Sa, June 30, 2007), cover price $44.95 | About this edition: En El Instinto del Lenguaje , el autor expone con claridad y buen humor mucho de lo que la ciencia cognitiva puede ofrecer como respuesta a los interrogantes que el lenguaje suscita: cómo funciona, cómo lo aprenden los niños, cómo cambia, cómo es elaborado por el cerebro y cómo evoluciona. 9780061214950 | Perennial, March 1, 2007, cover price $14.99 | About this edition: A collection of essays by some of the world's leading scientists describes ideas and advances that could have devastating repercussions in terms of both their use and philosophical implications, ranging from using medication to change personality to examining a universe in which we are completely alone. 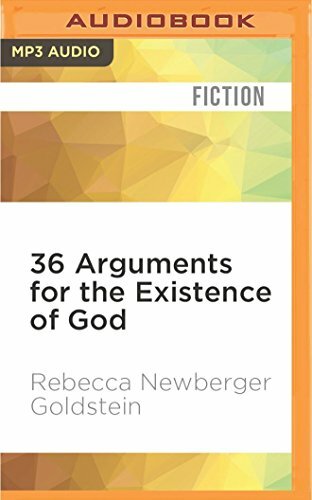 The latest anthology of the finest science writing is edited by the best-selling author of How the Mind Works and features an eclectic array of works by notable authors--including Gregg Easterbrook, Atul Gawande, Peggy Orenstein, Jonathan Rauch, Chet Raymo, and Nicholas Wade--on everything from the origins of the universe to the latest advances in artificial intelligence. 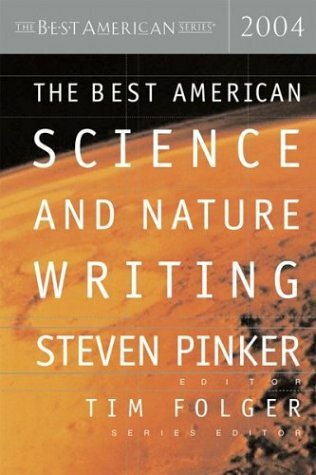 9780618246977 | Houghton Mifflin, October 14, 2004, cover price $27.50 | About this edition: Collects nature- and science-based essays by such authors as Anne Fadiman, Brian Hayes, Cullen Murphy, and Gary Taubes. 9780618246984 | Mariner Books, October 14, 2004, cover price $21.95 | About this edition: Collects nature- and science-based essays by such authors as Anne Fadiman, Brian Hayes, Cullen Murphy, and Gary Taubes. 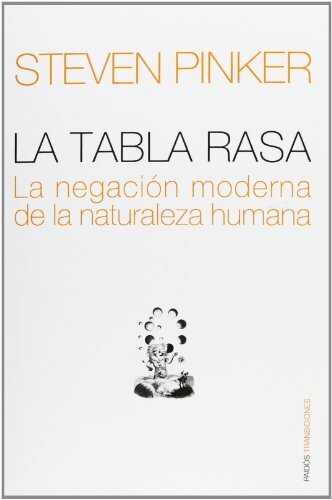 9788449314896, titled "La tabla rasa / The Blank Slate" | Paidos Iberica Ediciones S A, December 1, 2003, cover price $74.95 | About this edition: La concepción que podamos tener de la naturaleza humana afecta a todos los aspectos de nuestra vida, desde la forma en que educamos a nuestros hijos hasta las ideas políticas que defendemos. 9780140244915 | New edition (Gardners Books, February 4, 1999), cover price $21.95 | About this edition: Why do memories fade? 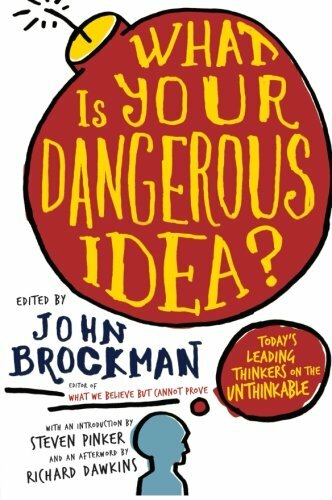 9781469228419 | Unabridged edition (Brilliance Audio, September 25, 2012), cover price $19.99 | About this edition: In this delightful, acclaimed bestseller, one of the worldâs leading cognitive scientists tackles the workings of the human mind. 9781455839636 | Unabridged edition (Brilliance Audio, November 8, 2011), cover price $29.99 | About this edition: In this delightful, acclaimed bestseller, one of the worldâs leading cognitive scientists tackles the workings of the human mind. 9781455839650 | Mp3 una edition (Brilliance Audio, November 8, 2011), cover price $24.99 | About this edition: In this delightful, acclaimed bestseller, one of the world’s leading cognitive scientists tackles the workings of the human mind. 9781879557505 | Abridged edition (Audio Scholar, January 1, 2000), cover price $24.95 | About this edition: Popular cognitive scientist/linguist what the mind is, how it evolved,and how it allows us to see, think, feel and ponder the mysteries of life. 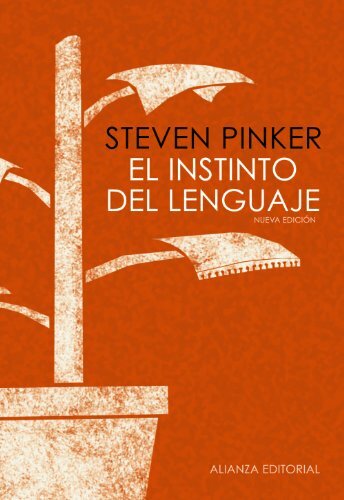 Product Description: In this influential study, Steven Pinker develops a new approach to the problem of language learning. Now reprinted with new commentary by the author, this classic work continues to be an indispensable resource in developmental psycholinguistics. 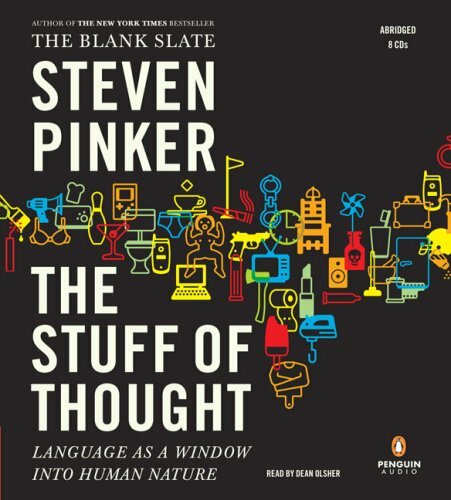 9780674510548 | Harvard Univ Pr, October 31, 1984, cover price $32.50 | About this edition: In this influential study, Steven Pinker develops a new approach to the problem of language learning. 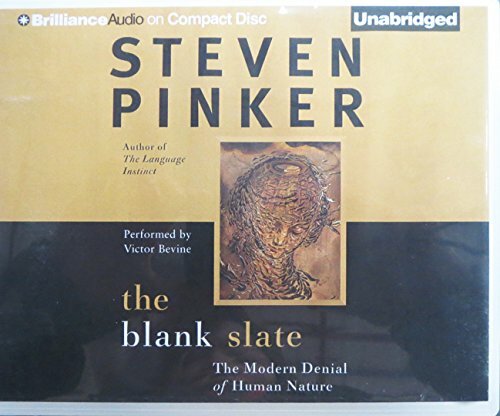 9780674510531 | Reprint edition (Harvard Univ Pr, February 1, 1996), cover price $25.50 | About this edition: In this influential study, Steven Pinker develops a new approach to the problem of language learning. 9780674510555 | Reprint edition (Harvard Univ Pr, April 1, 1987), cover price $16.95 | About this edition: In this influential study, Steven Pinker develops a new approach to the problem of language learning.